Dr. Robert Lins is a board-certified orthopedic surgeon with fellowship training in both spine and hand surgery. Dr. Lins earned his medical degree from the University of Michigan Medical School in Ann Arbor, Michigan. He completed both an internship and residency in general and thoracic surgery at Duke University Medical Center in Durham, NC, followed by a residency in pediatric orthopedics at Shriner’s Hospital for Crippled Children in Greenville, SC. In addition, Dr. Lins received fellowship training in hand, peripheral nerve, and microvascular surgery at Harvard- Massachusetts General Hospital. 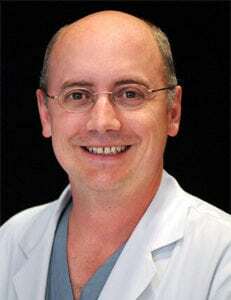 He also pursued fellowship training in spine surgery at Duke University Medical Center. Dr. Lins performed an AO international fellowship in hand surgery in Berne, Switzerland. Dr. Lins served as clinical instructor at Emory University School of Medicine in Atlanta, GA and clinical associate at the Department of Surgery at Duke University. He has written book chapters and received numerous research grants, with his research published in peer-reviewed medical journals. He is a sought-after national and international presenter. Dr. Lins is a member of the American Academy of Orthopaedic Surgeons, North American Spine Society, American Society for Surgery of the Hand, Massachusetts General Hospital Hand Club, and Duke Hand Club. Dr. Lins speaks Spanish and English. A former national swimming champion, Dr. Lins still enjoys swimming. In his spare time, he partakes in club soccer, classical music, and popular piano. He is also a licensed pilot. Find out what Dr. Lins’s patients are saying about his quality orthopedic care.